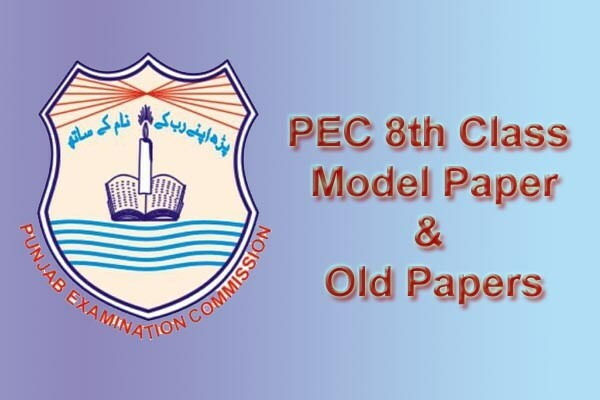 Punjab Examination Commission (PEC) Board has Going to Conducted 5th and 8th Grade Examination 2019, Punjab Examination Commission (PEC) Punjab Pakistan are Responsible for conducting the Public Examinations such as 5th and 8th Grade level Examinations. PEC Model Paper 2019 is very help full for the students to know the 5th and 8th Grade Exam Past Year Model Paper analysis, Punjab Education Commission Board Students can Download. Punjab Examination Commission is responsible for administering all public schools with the exception of English and Urdu Medium in Punjab Pakistan, PEC Board has Every Year Conducted 5th Grade and 8th Grade Examination in Every Year Month of January , Download PEC Model Paper 2019 from in Punjab boards Lahore, Gujranwala, Faisalabad, Sargodha, Multan, Rawalpindi, Bahawalpur, Sahiwal, DG Khan etc. Punjab Examination Commission (PEC) is an independent, autonomous and constitutionally Established Examination body to examine students’ learning goals from grade 5th to 8th in Punjab Pakistan. the examination body started their function in 2005 and took first grade 5 exam in 2006 for the students of the province Punjab, Pakistan. Once they can complete the entire PEC Model Paper 2019 Paper Pattern, Syllabus then go and exam themselves on old PEC 8th Class Examination papers. It could help for the students build the confidence and in case any lag identify on the Model Paper then prepare well on doubt questions.